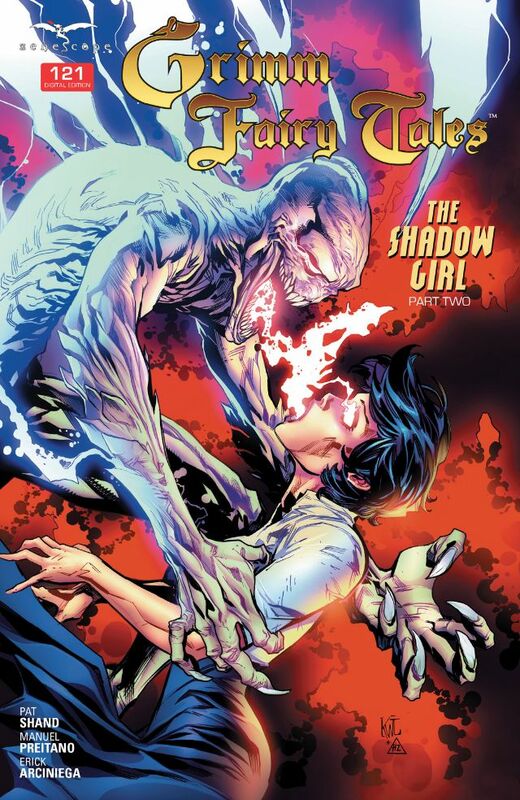 Reviews of this weeks [easyazon_link identifier=”1939683955″ locale=”UK” tag=”3milyea-21″]Zenescope[/easyazon_link] digital comics! The countdown to the big finale is here! As Skye and Lance call the other students of Arcane Acre to action, Bloody Bones attacks when it is least expected. Desperate times have led Sela to desperate measures, though, and she has a plan that will reunite her with her daughter and end this threat once and for all. Bloody Bones, the current ‘big bad’ in GFT has in this issue finally decided to do a runner. He’s realised that this may be a battle he can’t win, as Skye and Lance chase him, and get the better of him. this is of no means the end, but there is a light at the end of the tunnel – although we don’t know if it’s freedom or a train coming to mow us all down. Meanwhile there is still some disciplinary measures to take care of at Arcane Acre – with some good points coming from both sides. I wonder if this is going to come back and bite them! A good issue with plenty of action, humour and heart from all concerned! Not everything is what it seems! 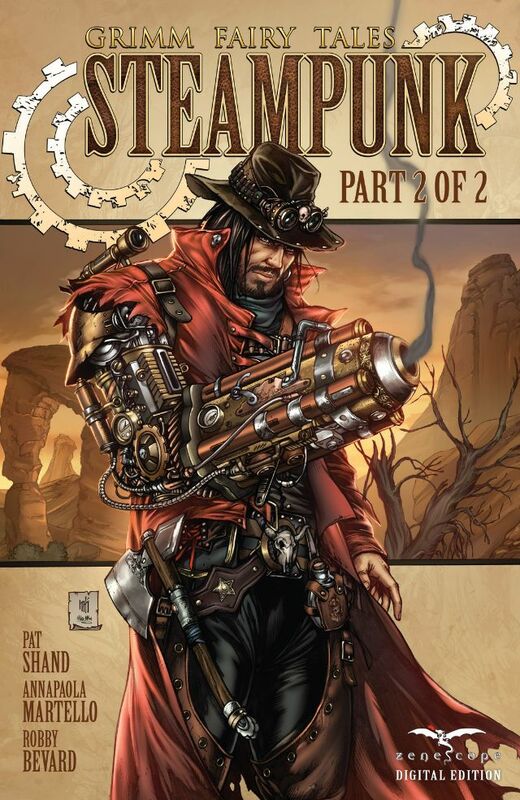 The reinvention of the Grimm Universe as a steampunk western continues with this action-packed, exhilarating conclusion. [easyazon_link identifier=”1939683998″ locale=”UK” tag=”3milyea-21″]Robyn Hood[/easyazon_link], renegade outlaw, and her gang of bandits face off against a vengeful Captain Hook. Arrows and bullets will fly! Gears, Gadgets and Gunfights come together in this fun reinvention of the Old West done the Zenescope way! 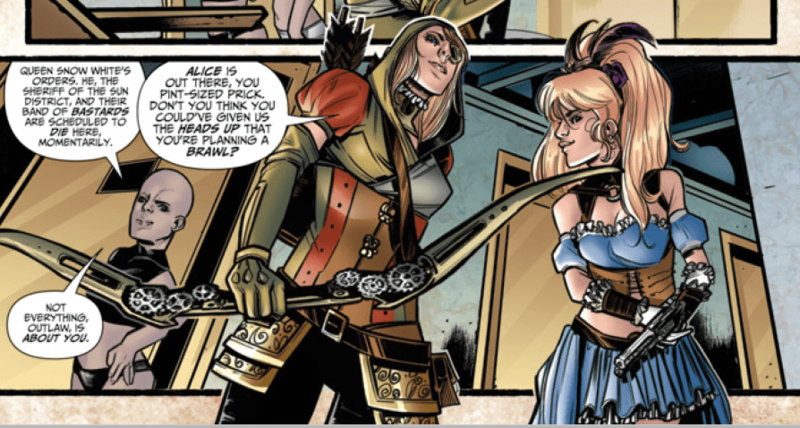 Completing this two – part mini series we get all the gang from Grimm Fairy Tales – now steampunk in this interesting read. We discover more about Cindy and how she got to be where she is and how she is, as well as a nice ending which (hopefully) leaves the door open for another story. This one didn’t feel as long as the previous issue, and it goes nicely with humour and action in this – especially the way the characters interact! Mercy gets a lead on a powerful demon hiding in plain sight on Earth. But Virgil tells her that he’s not one of their bounties and to leave it alone. Frustrated and curious to know the truth, Mercy calls on her friend, Masumi – a lethal samurai and demon expert – for help. 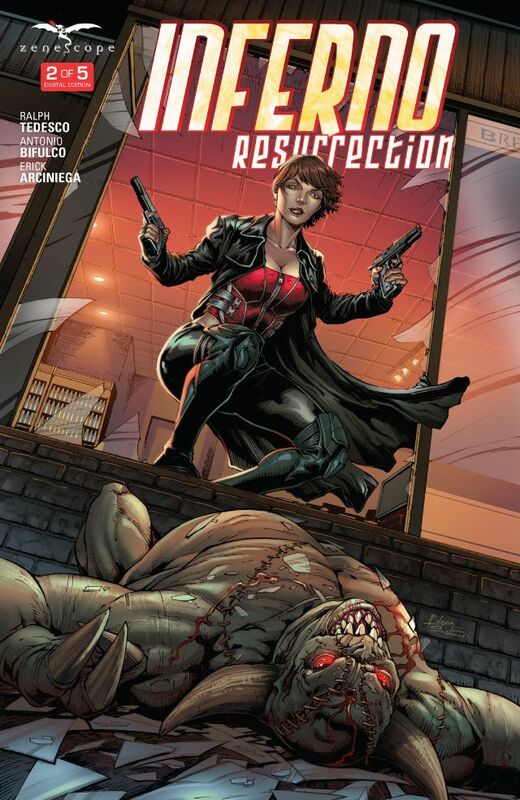 But when Mercy gets herself in a dangerous situation, it could mean the end of the line for Lucifer’s bounty hunter. A slow issue here as we get a lot of build up and less action. There is some action (see above) but maybe less than you would expect. There is a large amount of mysteries also in this issue, but I think some of these need to be solved soon as there may be less interest in dragging them out. A solid issue, but perhaps not as strong as #1! A Winter Soldier Digital Comics Sale!